With so many options available to choose from all crammed into the models and a very glittery design center designed to tantalize you, it is no wonder why your new build bottom line is hard to keep on budget. It is natural to want everything the eye can behold that was displayed in the models but how do you know what to choose in your budget – which selections are the biggest bang for your dollar? Here is a quick tip on how I move thru the selection process with my buyers. The number one area I tell my customers to upgrade first is with the flooring. However, not every builder offers a large selection. If you don’t find something you LOVE, just take what comes with for ZERO extra dollars and replace it later. Counter tops are my second selection upgrade – don’t skimp here. I will often recommend the buyer on a budget to forgo the upgraded counters in the bathroom areas – the cultured white counter tops offered for zero dollars are quite nice. This gives you more money to spend on the main attraction. 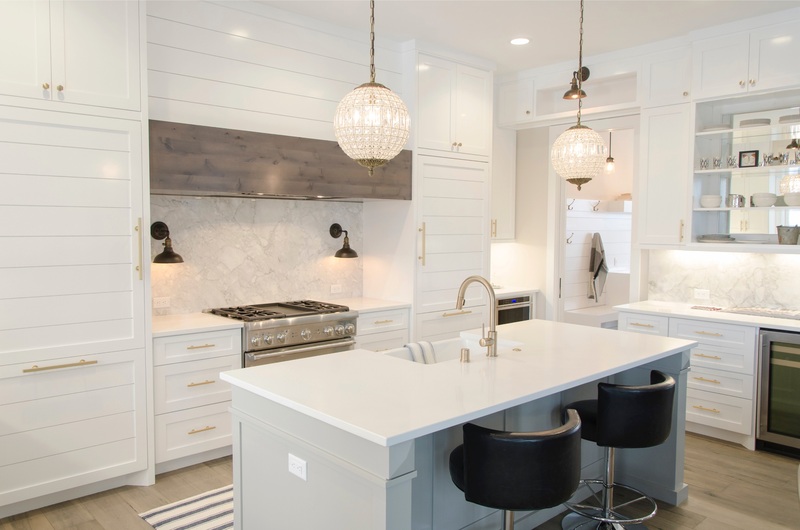 Your budget will need to stretch over the next several rooms and can easily be devoured with all the little items like cabinet pulls, back splash, listels – basically all the jewelry of the home. My advice from here is to keep it simple and try to make the selections from the Zero dollar categories - if on a tight budget. Those items can be easily added or replaced within time. Keep it classic and you will get years out of the selections. Ceilings and door heights can be tricky. These can be extra in new builds. If you can afford to go 8ft doors – I recommend you do. The ceilings I will always recommend staying classic flat – it is always in style and will not date your home with a year. Anyone remember the homes built in the 90’s with all the grand pillars and drop ledge ceilings hanging over the kitchen? Classic is always in style. My final thought is put some money into your outside living areas like patio’s or Lanai. Not only will you enjoy those spaces - it’s a great resale feature. Don’t forget to have the patio area outfitted with outside plumbing for a kitchen.